Flintshire Council has the fastest response time in Britain for filling in serious potholes, new research has revealed. Analysis by motoring charity the RAC Foundation shows Flintshire Council aims to act “immediately” to sort out road defects which pose the greatest safety risk to drivers and riders. Data based on Freedom of Information (FOI) provided by 190 of the 207 local highway authorities in Britain places Flintshire, Cumbria, and South Lanarkshire at the top in terms of response times. Many local authorities have adopted a risk-based approach to dealing with road defects including Flintshire. The RAC said response times are influenced by how many miles of road a council has to manage and the size of the council area. In Flintshire all potholes in the county are given a coding of red, amber or green. 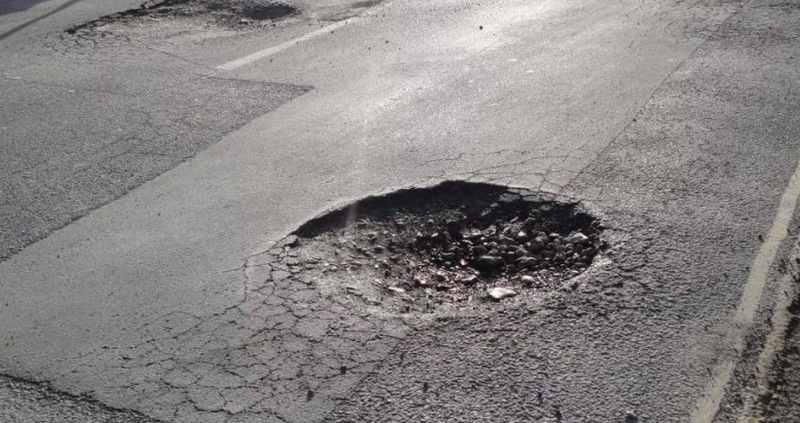 Roads with potholes deeper than 40mm, classed as amber, previously had a target time of up to three days to repair, but under the new policy this would be extended to five. However, where the damage has the potential to cause a serious injury or accident and is coded as red, it will still require an immediate response to make it safe. Meanwhile, low risk or green defects measuring less than 40mm will continue to be monitored at regular intervals. Steve Jones said: “Flintshire County Council receive numerous claims from highway users following trips, falls or personnel loss/damage to property on the public highway. “This reviewed policy will ensure the highway network is in a fit for purpose and safe condition also providing the council with a defence against any claims it may receive. “This review has also led to the response times being reviewed and amended, in line with the risk-based approach, to reflect of the overall condition of the carriageway network, which are currently the top ranking in Wales.